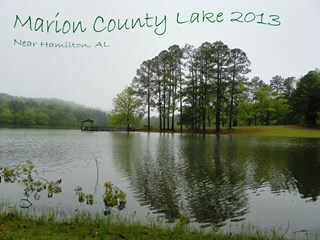 Marion County Lake is a 37-acre lake located seven miles south of downtown Hamilton and only one mile south of I-22, just off U.S. Highway 43. This is a family-friendly site and no alcohol is allowed. 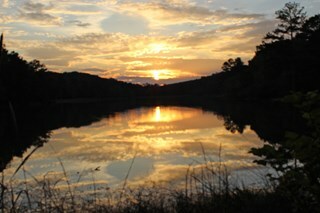 The Marion County Lake is an official site of the Alabama Birding Trail. 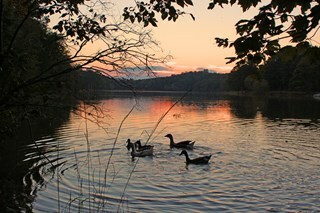 Bring your binoculars and cameras and view the spectacular species who visit this lake year-round. February 1 – June 30 - open 6 days a week, closed on Wednesday. July 1 – November 30 - open 5 days, closed Tuesday and Wednesday. December 1 – January 31 - closed. 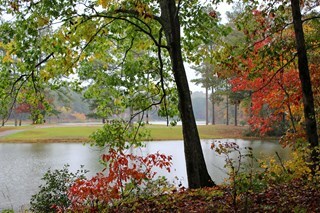 To verify changes in hours or to make special requests, call the lake manager at (205) 921-7856. 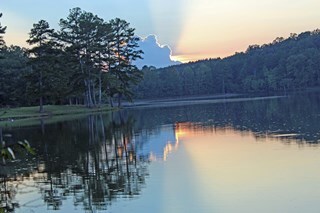 All Alabama state fishing laws apply to the Marion County Lake. 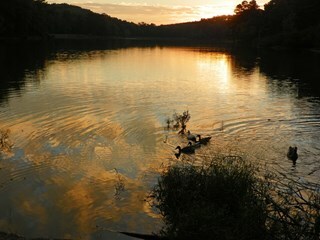 All applicable licenses are required as are usage permits which can be purchased at the Marion County Lake. Clean public restrooms and concessions are available, including a wide variety of fishing tackle, live and artificial baits, and other fishing supplies, as well as drinks and refreshments. 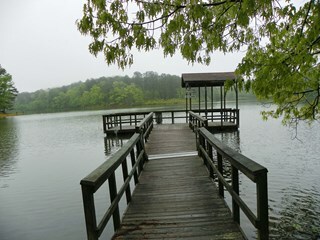 An accessible fishing pier makes it easy to reach deeper water without using a boat. Boats are also available for rent; a launching ramp is available for anglers with their own boats. Boats may have an outboard motor attached, but anglers may not use the outboard motor, only the trolling motor. Self-contained camping (for campers, but no hook-ups) and primitive camping are allowed (small fee). Picnic pavilion is available (small fee). 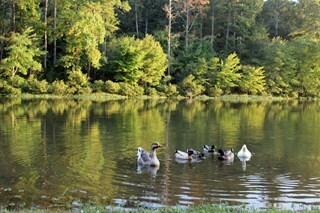 Call for the lake manager for reservations. Bass fishing is good year-round, with the biggest usually caught from February through April when they are near the bank. Bluegill (bream) and sunfish (shellcracker) are caught by bank and boat anglers from late spring through summer. Catfish are caught year-round, but the summer months are best. Crappie fishing is best from late February through April. 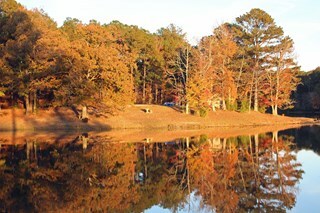 The lake is stocked with largemouth bass, blue catfish, channel catfish, sunfish, and crappie under programs through the Alabama Department of Conservation and Natural Resources. 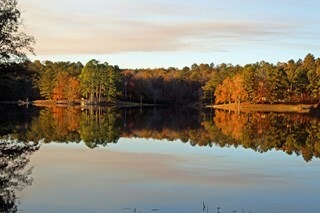 The Marion County Lake is located in the heart of the Sam R. Murphy Wildlife Management Area, a top deer hunting destination in the state of Alabama.